You are here: Home / News & Events / Can pitcher headgear help prevent line-drive injuries? Alex Cobb of the Tampa Bay Rays is hit in the head by Eric Hosmer’s 102-MPH line drive. Is it just me or does it seem as if Major League Baseball pitchers are getting hit with line drives more often? We’ve had two in the last two months: Blue Jays pitcher J.A. Happ and Tampa Bay Rays pitcher Alex Cobb. Neither of these players is back and there’s no timetable as to when they will return. Today, I had the chance to talk with WAKR host Ray Horner about these players and others who have been hit by line drives. We also discussed research involving different types of headgear that may help prevent these injuries and support pitchers’ skulls and brains. 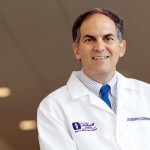 Horner: Dr. Joe Congeni with us for a couple of minutes here on 1590 WAKR. Good morning, Joe. Dr. Congeni: Hey, Ray. How are ya? Horner: I’m doing great. What’s on your mind for us today? Dr. Congeni: Gosh. You guys sound like you’re having fun over there. Horner: We always are, yes. As you know, you’ve been in here with us. Dr. Congeni: I have, and I’m looking to get back in there with you guys sometime soon. But, today, you know one of the things … we haven’t talked about in awhile are the pitchers, the head injuries, the line drives, and I know you’re such a big baseball guy. It’s concerning, right, Ray? Dr. Congeni: That’s concerning. Now, we’ve had two in the last two months. J.A. Happ, you know the Blue Jays left-hander, was on May 7. 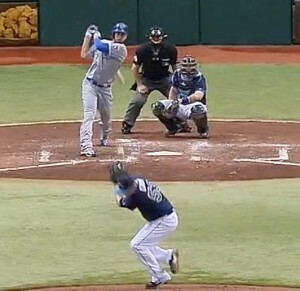 Alex Cobb (Tampa Bay Rays) got hit by a line drive on June 15. Although they are doing better, the talk is that they are improving, neither one is back, and there is no timetable for either one when they’ll be back. J.A. Happ, the Blue Jays pitcher, had a skull fracture and he is still recovering. We look back to last year, Brandon McCarthy, who was with the A’s at the time, but he’s with the Diamondbacks this year. You know, McCarthy missed a long time after getting hit by a line drive. He had a skull fracture and some bleeding on the brain. He came back this year, Ray, but he’s got the highest ERA (Earned Run Average) of his entire career. You know he’s been in the big leagues six or seven years, and he’s got an ERA of 5.00. So, he’s not doing great. And, you know, we go back all the way in Cleveland to Herb Score. And Herb Score got hit by a line drive and Herb Score never got back to normal. Herb Score had a lot of other injuries, as all of these guys have, other musculoskeletal injuries, but you really wonder how much of it has to do with that line drive. So, anyway, you know the way we are in sports medicine. We’re trying to look at ways that we can reduce and prevent this injury, but it’s a hard one to reduce and prevent. Right now, our friend, sports medicine doc who is the Major League Baseball medical director, Gary Green, he’s got eight different companies right now working on developing some sort of headgear that could be protective for pitchers, but also that wouldn’t be too cumbersome for them to wear. So, [he’s researching] several different forms of headgear, lightweight, comfortable, but something that would have lining of the current cap that would, perhaps, protect the brain and the skull from this injury. So, um, it’s an injury that is concerning. It occurs at all levels. We read about it sometimes in college, in high school [players] and even the youth as well, but when it happens at the Major League level, we hear about it. And it does seem to be happening more. So, we’re out there trying to do what we can to prevent it, Ray, and that’s kinda where the situation stands right now. Horner: Alright. Thank you, Mr. Congeni. Dr. Joe with us on Wednesdays. We’ll catch up with you again next week. Dr. Congeni: Alright, Ray. Have a great week. Horner: You too. 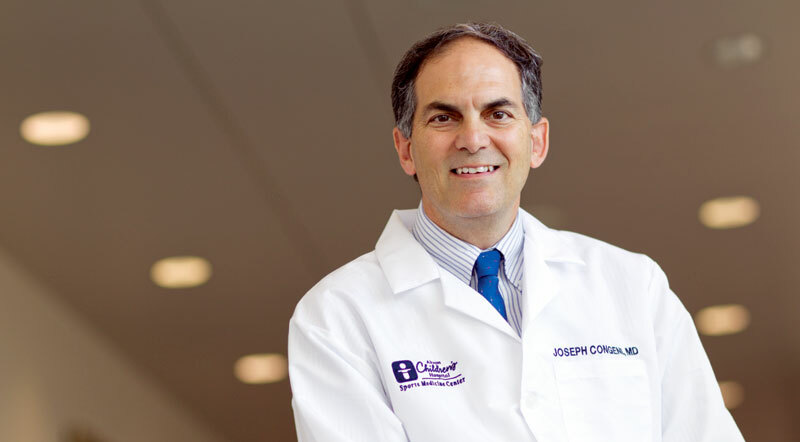 Dr. Joe Congeni, Sports Medicine Center, Akron Children’s Hospital.